Home | PLM Lake and Land Management Corp. 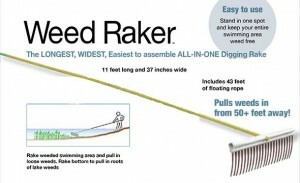 Cleaning out weeds has never been easier! Over 35 years of experience using scientifically proven methods to control and eradicate invasive aquatic plant and terrestrial plant species for private homeowners, associations and government institutions. PLM Lake & Land Management Corp. is one of the largest aquatic herbicide and algaecide application companies in the United States. We have numerous locations throughout the mid-west and southeast US. Purchase aquatic herbicides, rakes, and fountains with our wide selection of products proven to provide you with the highest quality results. Find products that you need and we’ll ship them right to your door. We provide quick and easy access to treatment information so you can monitor weed control activities and check the status of potential water use restrictions on your lake. We’re only a phone call away if you have questions. PLM Lake and Land Management can help you identify your invasive aquatic plants. If you think you have identified the type of plant in your water please contact us to have it treated. PLM Lake & Land Management Corp is the number one name in invasive plant management. For more than 30 years, our scientists and state-certified applicators have made it their priority to provide the highest quality service in all of our markets. PLM provides you with a team of expert biologists, foresters, ecologists and managers to evaluate your environment, prioritize existing problems and develop plans to prevent new infestations. We use state-of-the-art equipment to analyze your concerns, then employ the safest and most effective products and tools to transform your property to meet your individual needs. Click here for a free Minnesota Individual quote. Copyright @ 2019 PLM Lake & Land Management Corp. All rights reserved. Verified and Secured by GoDaddy.